Apache Camel is an open-source, lightweight integration library that allows your applications to accomplish intelligent routing, message transformation, and protocol mediation. 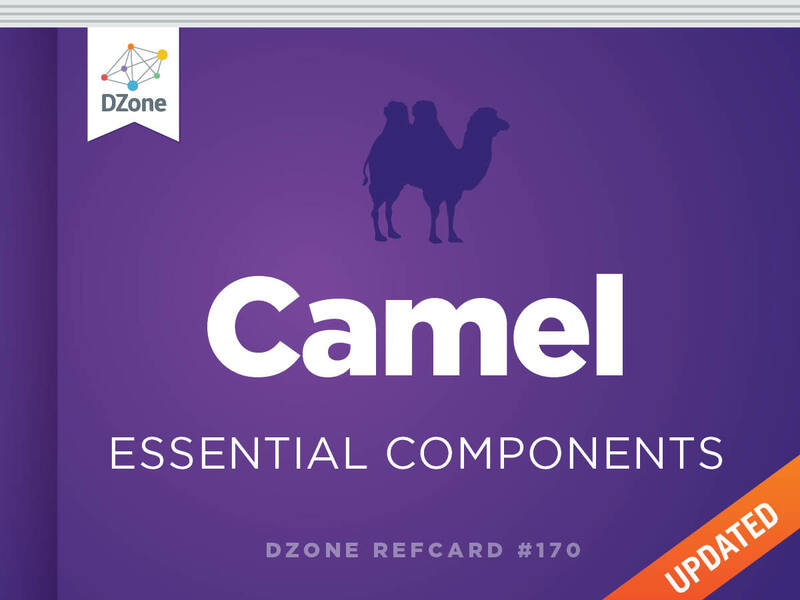 This newly updated Refcard introduces Apache Camel, explains its benefits, and demonstrates essential components. Gain a deeper understanding of implementing JMS and ActiveMQ, the Bean Component, Log and Metrics Components, and Camel's REST DSL. ► What Is Apache Camel? Camel is an open-source, lightweight integration library that allows your applications to accomplish intelligent routing, message transformation, and protocol mediation using the established Enterprise Integration Patterns and out-of-the-box components with a highly expressive Domain Specific Language (Java, XML, or Scala). With Camel you can implement integration solutions as part of a microservices architecture (ingress routing, legacy integration, bounded context inter-communication) or as a more centralized integration platform if that’s what you need. All Camel components can be configured with a familiar URI syntax. Usually components are specified in the from() clause (beginning of a route) or the to() clause (typically termination points in the route, but not always). A component "creates" specific "endpoint" instances. Think of a component as an "endpoint factory" where an endpoint is the actual object listening for a message (in the "from" scenario) or sending a message (in the "to" scenario). The component is listed first, followed by some local name specific to the endpoint, and finally some endpoint-specific configuration specified as key-value pairs. This URI creates a JMS endpoint that listens to the "test-queue" and sets the preserveMessageQos option to true. Define your bean in the Camel registry (usually the Spring context if you're instantiating from a Spring application). How Is a Method Chosen? If there is only a single method, Camel will try to use that. If there are multiple methods, Camel will try to select one that has only one parameter. Camel will try to match a method's parameters by type to the incoming message body. How Does Camel Bind Parameters? You can also use annotations to specifically bind certain parts of the Exchange to parameters in your methods. See the Camel documentation (http://camel.apache.org/parameter-binding-annotations.html) for more. showAll Turns all options on, such as headers, body, out, stackTrace, etc. The Camel JMS component allows you to produce or consume from a JMS provider. Most commonly, JMS and associated routes are used for asynchronous inOnly style messaging; however, camel-jms understands request-reply or inOut style messaging also and hides the details. Use the activemq-camel component for JMS endpoints that rely on an ActiveMQ provider as it provides some simple optimizations. JMS resources are often expensive to create. Connections, Sessions, Producers, Consumers should be cached where it makes sense, and setting up the appropriate caching starts with a pooled connection factory. If you're using ActiveMQ, you can use the org.apache.activemq.pool.PooledConnectionFactory. Alternatively, for general purpose JMS connection pooling, you can use the Spring's CachingConnectionFactory. See the documentation for using the CachingConnectionFactory. Make sure to set cache level to CACHE_CONSUMER so that your consumers, sessions, and connections are cached between messages. In the above examples, we explicitly marshaled to JSON, but we didn’t have to do that. We can configure the REST DSL to automatically bind to XML or JSON. The default of this binding is disabled. See the configuration for more information. When reading or writing files (CSV, XML, fixed-format, for example) to or from the file system, use the Camel File component. File-based integrations are fairly common with legacy applications but can be tedious to interact with. With a file consumer endpoint, you can consume files from the file system and work with them as exchanges in your camel route. Conversely, you can also persist the content of your exchanges to disk. This route splits on newlines in the file, streaming and processing one line at a time. For more information on splitting large files, see http://www.davsclaus.com/2011/11/splitting-big-xml-files-with-apache.html. You can still use messaging as a means of communicating with or between your routes without having to use an external messaging broker. Camel allows you to do in-memory messaging via synchronous or asynchronous queues. Use the "direct" component for synchronous processing and use the "seda" for asynchronous "staged" event-driven processing. SEDA endpoints and their associated routes will be run in separate threads and process exchanges asynchronously. Although the pattern of usage is similar to the "direct" component, the semantics are quite different. Keep in mind that using SEDA (or any asynchronous endpoint) will behave differently in a transaction, i.e., the consumers of the SEDA queue will not participate in the transaction as they are in different threads. The "direct" component does not have any configuration options. For more information on the direct and SEDA component, see http://camel.apache.org/direct.html and http://camel.apache.org/seda.html respectively. Testing your routes is an important aspect to integration development and camel makes it easier with the mock component. You can write your Camel routes in JUnit or TestNG to use mock components. 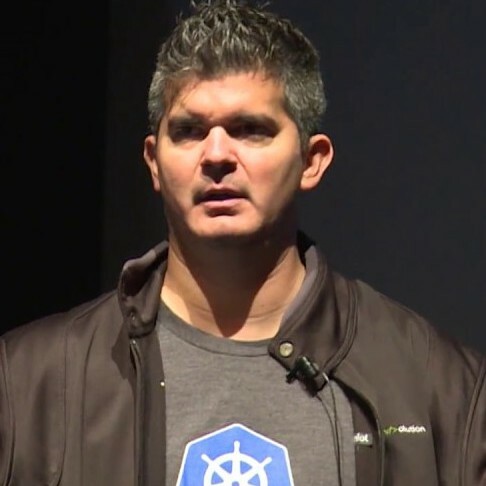 Then you can declare a set of expectations on the mock such as how many messages were processed, or that certain headers were present at an endpoint, and then run your route. At the completion of the route, you can verify that the intended expectations were met and fail the test if they were not. Then you run your route. Sometimes you'll have routes with live endpoints that you cannot change (or don't want to change) for test. For such routes, you can insert mocks where the live mocks are to do some testing. allows you to specify which endpoints to mock. For example, to mock out only the JMS components, you would do mockEndpoints("jms*"). To mock all endpoints, leave off the pattern completely. All Camel components can be configured with a familiar URI syntax. Usually components are specified in the from() clause (beginning of a route) or the to() clause (typically termination points in the route, but not always). A component \"creates\" specific \"endpoint\" instances. Think of a component as an \"endpoint factory\" where an endpoint is the actual object listening for a message (in the \"from\" scenario) or sending a message (in the \"to\" scenario). This URI creates a JMS endpoint that listens to the \"test-queue\" and sets the preserveMessageQos option to true. You can still use messaging as a means of communicating with or between your routes without having to use an external messaging broker. Camel allows you to do in-memory messaging via synchronous or asynchronous queues. Use the \"direct\" component for synchronous processing and use the \"seda\" for asynchronous \"staged\" event-driven processing. SEDA endpoints and their associated routes will be run in separate threads and process exchanges asynchronously. Although the pattern of usage is similar to the \"direct\" component, the semantics are quite different. The \"direct\" component does not have any configuration options. allows you to specify which endpoints to mock. For example, to mock out only the JMS components, you would do mockEndpoints(\"jms*\"). To mock all endpoints, leave off the pattern completely.